Durham Magazine writer Sophia Lucente interviewed Laura Windley, Lucian Cobb, and Keenan McKenzie to put together this snapshot of the band’s history and life in Durham. If you missed our interview with Frank Stasio and Mint Julep Quintet’s live performance on WUNC’s The State of Things on Friday, December 11, 2015, you can listen to the 17 minute segment on The State of Things’ website – scroll down to the middle of the page for the audio player and press play. The Mint Julep Jazz Band was the first runner up for best musical artist/band in the 2015 Best of Durham Awards, sponsored by Durham Magazine! Thanks so much to everyone who voted for us and congratulations again to Sylvan Esso for winning the title. 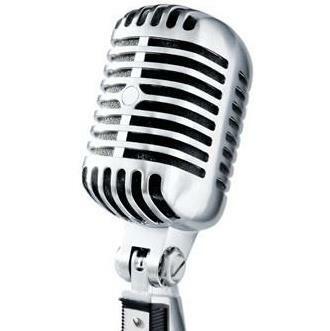 Host Tyler Wolf interviews Lucian Cobb and Laura Windley about the band’s Kickstarter, the creative process, the lindy hop fan base, and highlights from the band’s first album on this blogtalkradio.com-based show. The Mint Julep Jazz Band was featured on WUNC’s The State of Things, with an interview and performance with the full 8 piece band! To listen to the 20 minute segment, click here for the audio recording or click here for the YouTube video of the live video stream. 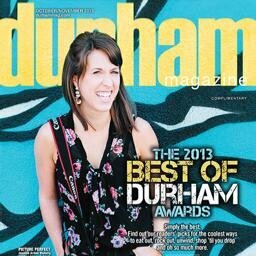 The Mint Julep Jazz Band was voted the best musical artist/band in the 2013 Best of Durham Awards, sponsored by Durham Magazine! We are supremely surprised and grateful for the love and send out immense thank yous to everyone who voted for us. We named our first album after this town to show how much we love Durham, and we are getting the love back from you tenfold. 😀 Thank you, Durham! Mint Julep Jazz Band bandleaders Lucian Cobb and Laura Windley were featured in the June, 2013 episode of Yehoodi’s Hey Mister Jesse podcast – the show features an interview with Lucian and Laura and clips from several of the songs off the Mint Julep Jazz Band’s CD release, “Durham on Saturday Night.” Click here to listen to the show. On May 19, 2013, Laura Windley and Lucian Cobb appeared on WXDU, talking with Divaville Lounge host Sarah Ovenall about the band, the making of “Durham on Saturday Night,” and background on tracks from the album. You can listen to the hour-long broadcast (interview and tracks from the album) by clicking here. We are delighted to be a finalist for Best Jazz Artist or Band in our first year of existence! Many thanks to all of our fans who voted for us. Congratulations to one of our tenor saxophonists, Peter Lamb, whose band Peter Lamb and the Wolves was the winner of the Best Jazz Artist or Band award! See the results of the poll and the other finalists on the Indy’s website. NOTE: The Independent Weekly has eliminated band categories from their 2013 reader’s choice poll – who is the best jazz band in the Triangle for 2013 and beyond? We’ll never know, but we’d like to think we’re a contender! The News & Observer’s Martha Quillin interviewed Laura Windley and Lucian Cobb of the Mint Julep Jazz Band about big band music and swing dancing in the Triangle. The article was published on the front page of the Sunday, May 20, 2012 paper, but you can also read the article online.